After sports, night shots are my favorite. Tomorrow will be my 2nd anniversary since I started my blog. I have another night shot picked out that's a little different, so check back tomorrow. 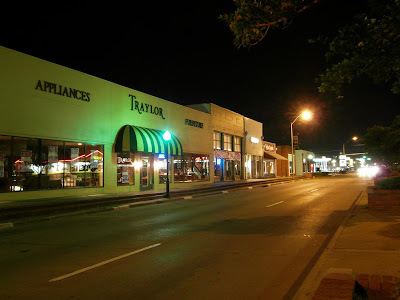 This is Traylor furniture on Moore Avenue in Terrell on a quiet night. Sign up for the July 18th Terrell Photo Walk. Click on the Terrell banner to the right.